Viking Ocean Cruises was named the world’s “Best Large-Ship Ocean Cruise Line” by Travel + Leisure in both 2016 and 2017. They have been honoured multiple times in the Travel + Leisure “World’s Best Awards” and the Condé Nast Traveler “Gold List,” as well as recognised by the editors of Cruise Critic as “Best River Cruise Line,” with the entire Viking Longships fleet being named “Best New River Ships” in the website’s “Editors’ Picks Awards.” They were named “World’s Best River Cruise Line” by Condé Nast Traveler in 2017, making them the world’s most awarded cruise line. More recently, Viking Orion has been named the Best New Luxury Ship in the 2018 Cruise Critic Editors Choice Awards. Viking’s ocean fleet is expanding! Their fifth and sixth 930-passenger ocean ships, Viking Orion and Viking Jupiter, launched in July 2018 and February 2019 respectively and four more ocean ships are on the order books, scheduled to debut between 2021 and 2023. When Viking Jupiter joins the fleet in 2019, Viking will be the world’s largest small-ship ocean cruise line. Additionally, Viking Cruises has announced that a new deal with ship builder Fincantieri that could potentially see an additional six ships being delivered to the Viking Ocean fleet between 2024 and 2027. For details on Viking’s cruising style and inclusions please see our Luxury Cruising page. 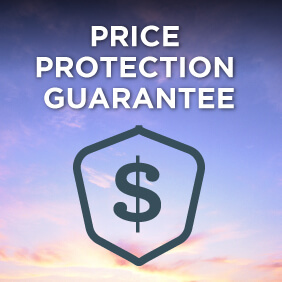 Check out Cruise Guru’s handpicked Viking Ocean cruise deals, find your perfect Viking Ocean cruise with our Cruise Finder tool or just contact us – we’re here to help. *Terms and conditions apply. Viking will start home-porting from Australia and New Zealand in December 2018, and will spend three months of each year cruising between Sydney and Auckland. These itineraries offer Australian and New Zealand cruise guests the chance to experience Viking’s unique cruising concept right from their doorstep, while discovering the stunning natural wonders and buzzing cities in their very own backyard. 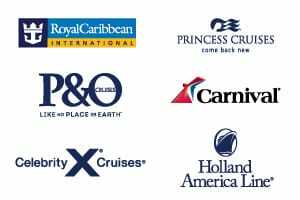 Hurry, their 2018/19 cruises are already selling out fast! In the exotic orient of South East Asia, cruises depart from Hong Kong, Beijing and Tokyo as well as the less frequented Benoa (Bali) and Bangkok, and undertake in-depth cruises which give their guests the opportunity to visit India, Malaysia and Thailand as well as China, Vietnam and Indonesia. Viking’s six ship ocean fleet spends their year chasing the sun as they navigate the world’s oceans. Being a Norwegian bred cruise line, they do have at least one ship in Europe’s waters for the duration of the year, exploring Northern Europe and the Mediterranean‘s coastal towns and natural icons both in the perpetual light of the midnight sun or in the shorter but just as enchanting days of winter. In Northern Europe you could explore the iconic ports of the Baltics, Scandinavia and Russia, cruise the Fjords of Norway or circle the British Isles. For something a little bit different, why not go in search of the Northern Lights, or discover the rugged coastline of Iceland. 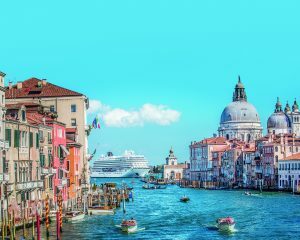 If it’s the Mediterranean you’re after, Viking could take you on a journey to the iconic ports of the Western Mediterranean or the idyllic coastlines of the Adriatic and Greece. You can also experience less frequented Israel on Vikings’ Holy Land cruises. Viking Ocean Cruises also have a number of ships that explore the Americas. In Alaska take a 10 night cruise to discover the icy straits of the last frontier. These cruises depart from either Vancouver or Seward. Heading to warmer climates, cruise the tropical islands of the Caribbean with departures from Miami, New York, or San Juan and discover a range of 7 to 21 night itineraries that will have you soaking your toes in warm turquoise waters. Don’t forget to look out for Viking’s itineraries to Cuba or cruises visiting the Panama Canal. Head further south for a cultural South American discovery. These cruises voyage from Buenos Aires to Santiago, Chile (or vice versa) allowing you to feast your eyes on spectacular mountain scenery and awe-inspiring glaciers as you make your way around the southern tip of the continent. Viking Sun will be undertaking a 118-day voyage from Los Angeles to London in 2020, which is now open for sale. Please contact us to make an enquiry or booking.